So, I don’t think I’ve shared this much on the blog yet, but my husband is not quite into all the clean eating that I’m into. It’s not like he eats a lot of processed food, but he is definitely not that adventurous in the fruit and vegetable department. So I am always trying to experiment with clean eating recipes that he might like, or be willing to try. And even some he might not be willing to try. It’s amazing what types of clean eating ingredients you can secretly blend into a smoothie 😉 . This recipe was actually inspired by my new favourite cookbook, Love Real Food, by Cookie and Kate. 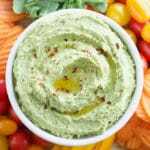 They have a recipe for Green Goddess Hummus, which is absolutely delicious and gave me the idea to try a green hummus recipe loaded with arugula, spinach and feta cheese. 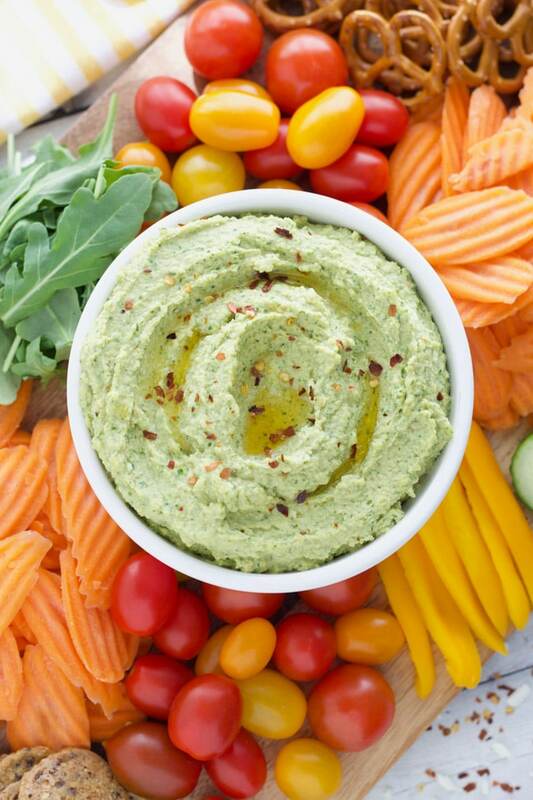 Of course, this Red Pepper Arugula Hummus includes the basics – chick peas and tahini. I also added some sunflower butter that has a slightly mild and sweet taste which balances out the bitter taste of the tahini. And if you like your hummus with a kick, this recipe has you covered with the red pepper infused olive oil. It’s just a tablespoon, so it’s not too hot or spicy. 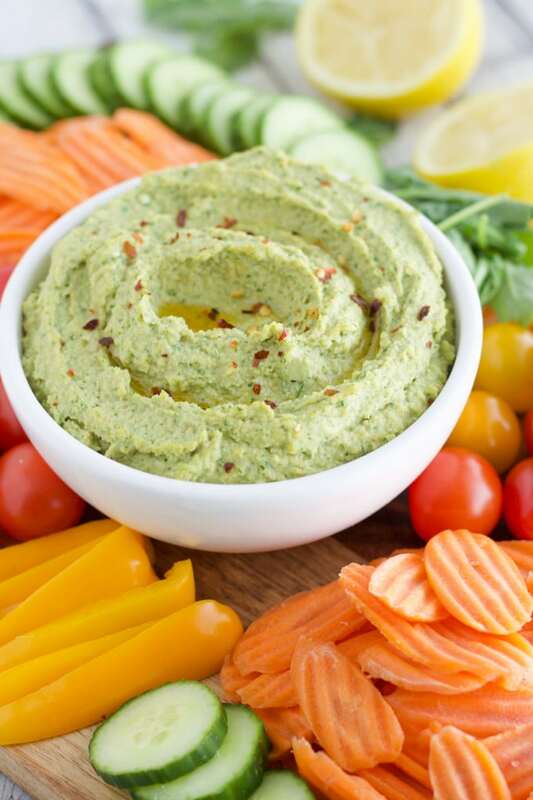 But if you enjoy some extra heat, feel free to add a sprinkle of crushed red pepper flakes to the hummus or drizzle with additional olive oil before serving. 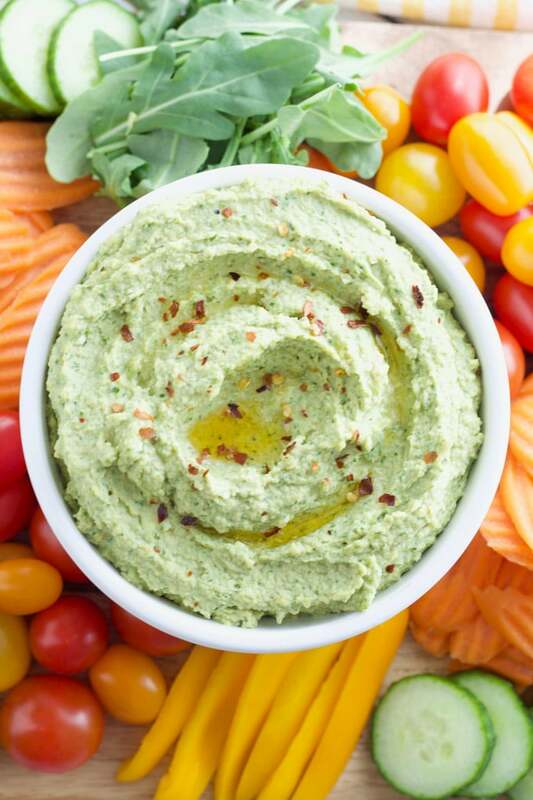 This Red Pepper Arugula Hummus quickly comes together in your food processor. 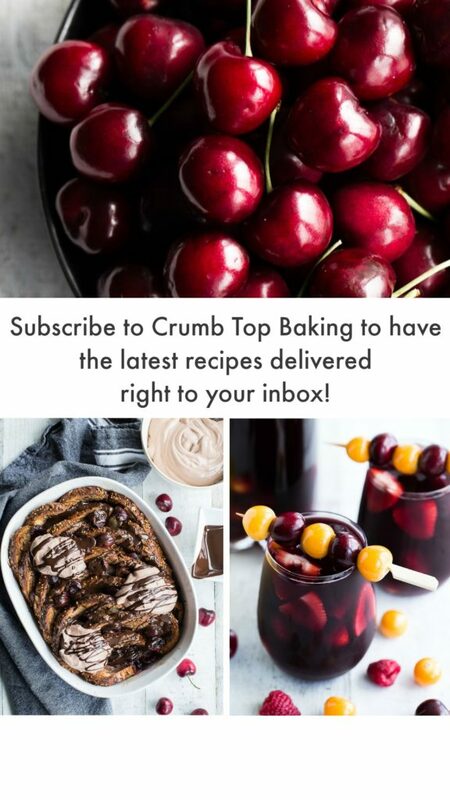 Just throw the ingredients in and process on high for 5 minutes! Stir some feta cheese in and your done 🙂 . Serve this with some fresh veggies and pretzels and you have yourself a perfect appetizer for lazy summer evenings or backyard gatherings. 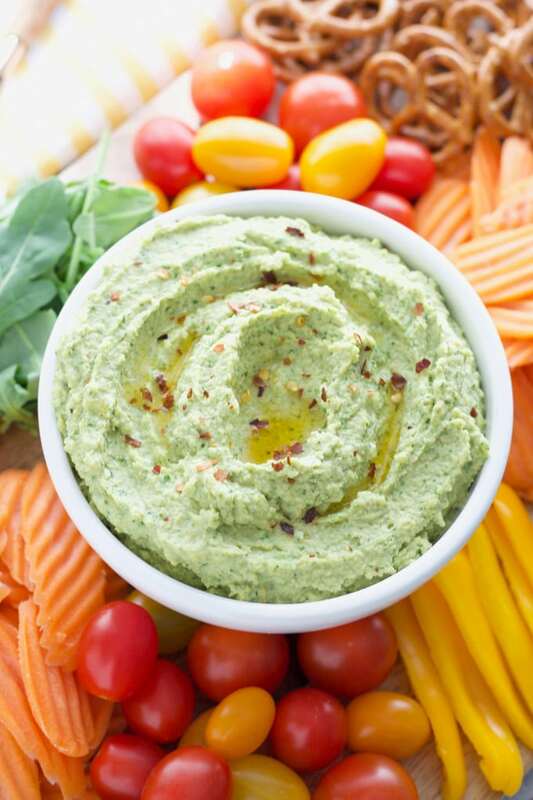 This 5-Minute Red Pepper Arugula Hummus is loaded with fibre, protein and veggies! We are talking 2 cups of arugula ad 1 cup of spinach blended with chick peas into this creamy bowl of deliciousness. Add some red pepper infused EVOO, tahini, sunflower butter, lemon juice, feta, salt and pepper, and lots of garlic, and you’ve made yourself (and your guests!) an amazing appetizer dip 😉 . Add all the ingredients, except the feta cheese, to a large food processor and process on high until the mixture is creamy. Stop periodically to scrape down the sides. Once the mixture is creamy and well-blended, scoop out into a bowl and stir in the feta. Serve with veggies and pretzels or use as a spread on sandwiches or wraps. Store any leftovers covered in the fridge and enjoy within 3-4 days. 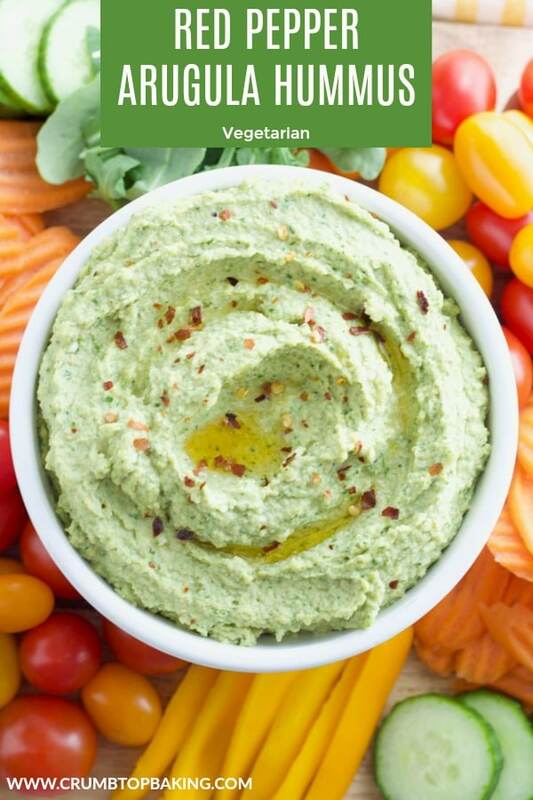 This recipe was inspired by the Green Goddess Hummus recipe from Cookie and Kate. This sounds amazing, Leanne! I’m such a sucker for hummus, but sometimes you have to move away from the classics and try something new. This is right up my alley. I don’t cook red pepper-centric things enough! Thanks Dana! I’m a sucker for hummus too! It’s such a great snack, and one my husband will eat, so I make it quite a bit. This red pepper version is a favourite in our house! Haha! Thanks Gabby! I try. Sometimes it works, and sometimes it doesn’t! Happy Monday! I love what you did here! That little addition of sunflower seed butter sounds like a nice balance. Plus you can’t go wrong by adding the most delicious green, leafy vegetable in existence, right? I will eat anything with arugula, and I would devour this no problem. Great recipe, Leanne!! Thanks Nicole! Arugula is definitely my favourite green, leafy vegetable. Between salads, sandwiches, and the many other recipes I use it in, we go through a lot of it in our house. This hummus is a go-to for sure! Have a great week!